“Every time a bell rings, an angel gets his wings”. 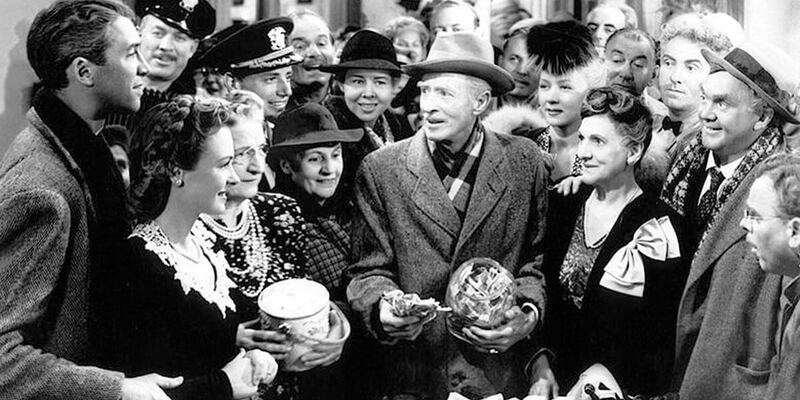 This Christmas, the Friends of the Gallery are screening Frank Capra's classic film, It's a Wonderful Life. This moving and beautifully told film is a masterpiece of cinema. A tale of rivalry and despair, the story finds George Bailey (James Stewart) in turmoil: framed by his arch rival, he is torn between his own desires and aspirations, while struggling to always do the right thing. This Friends' screening of the Christmas classic is open to non-members. The screening will be preceded by a short performance of Christmas carols by the National Gallery of Ireland choir.